Imagine!’s Dayspring department’s Community Calendar Activities (CCAs) introduce families with young children who have developmental disabilities or delays to places in our community that offer great activities and opportunities for children to meet their goals through fun and play. All activities encourage motor, sensory, social-emotional, cognitive, and speech-language development. Each location has activities that are age and developmentally appropriate. Activities are centered around play, because play is the primary vehicle for a child’s mental and physical growth. Play has a vital role in cognitive, speech-language, physical, emotional and social development. In order to create these meaningful community activities, Imagine! needs the support of many local organizations. 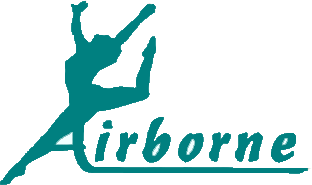 So today I’d like to highlight one community partner that does so much to connect young children with developmental delays and disabilities and their families with the community: Airborne Gymnastics. Airborne has been a part of Dayspring’s CCAs since almost the beginning, hosting a monthly open gym for Dayspring families and offering a reduced gym booking fee. We greatly appreciate Airborne’s support of Imagine!, of Dayspring, and of their community!